On Jan 31 Marists and others watched the conclusion of this year's Australian Open Tennis tournament. 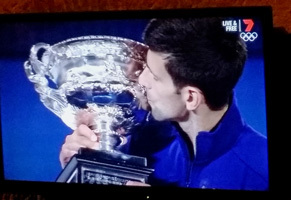 Congratulations, Novak! Good effort but better luck next time, Andy. From the Marist International Novitatiate, Davao, Philippines, novice-master, Fr Fernando Ingente SM, sends photos of the latest group of young men to make their Marist profession. At the same time the novitiate welcomes a new intake of novices. Twelve nationalities are represented in the combined groups and novitiate formators. In a recent visit to the Marist Mission Centre, Thai Redemptorist, Fr Puwanai (Olé) Tantikun CSsR, expressed the gratitude of the Sarnelli Mission, Nongkhai, Thailand, for MMC's continuing support. Founded by Mr Mike Shea CSsR, Sarnelli Mission provides care for hundreds of HIV-affected youngsters along the Mekong River. MMC supports Sarnelli's outreach program to families in rural areas. 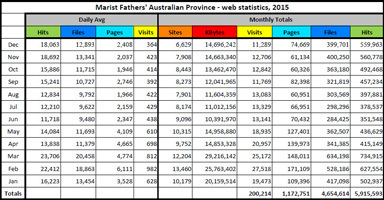 For www.maristfathers.org.au visits, hits, you-name-it, , all edged upwards during 2015. 'Hits' don't tell the whole story...but there were just on 6,000,000 of them for what they're worth, up a million on 2014. 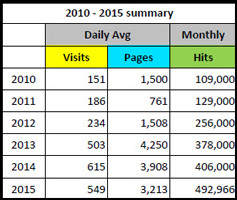 More significant are the numbers of daily visitors and the pages they open. 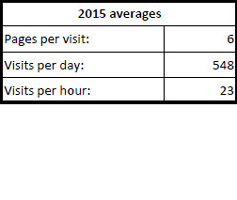 To look more closely at the 2015 figures: click here and for 2014 here. After three terms as Director of MMC and several recent years of review and future planning, Fr Kevin Stewart SM is moving on from the Mission Centre. The Provincial Council has asked Tony Biddle, Papal Knight and the province's former business manager to complete this review and suggest future directions for MMC. 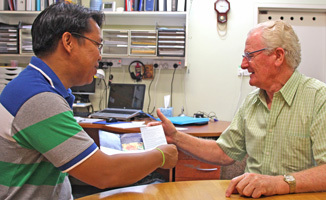 Commenting on Fr Kevin's work, provincial, Fr Bob Barber, remarks: 'Kevin has had great contacts with Marist Asia, where he previously worked as a missionary; a great ‘visitor’ to places and ministries where MMC is sponsoring works. He has spent many months every year ‘living tough’ in some of the most undeveloped areas of Asia and the Pacific... a great personality and a very kind man – very popular with MMC benefactors and beneficiaries. 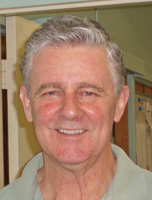 Bursar-General of the Society of Mary, Fr Paul Cooney SM, has stepped down for health reasons from his Rome-based position and returned to Australia. At the same time Fr Hannan announced the appointment of Kiwi Marist, Fr Paul Martin SM, as the new Bursar-General as of Mar 01. 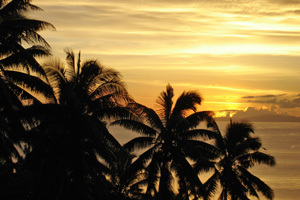 He is currently assistant provincial in the New Zealand province. Fr Paul Cooney in Rome in late 2013, preparing to take over from Fr Kevin Mowbray / Fr Paul Martin (tall chap at the left) with combined Australian and NZ provincial councils in 2015. 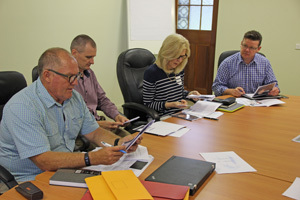 Key representatives of schools founded by the Marist Fathers and Marist Sisters met at Hunters Hill on Jan 15. On Jan 10, 1836, mission-minded Pope Gregory XVI entrusted the missions of the south-west Pacific to the fledgling Society of Mary. 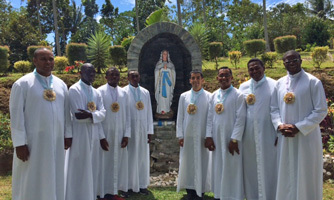 The first Marist missionaries left for Oceania on Dec 24 of that same year. 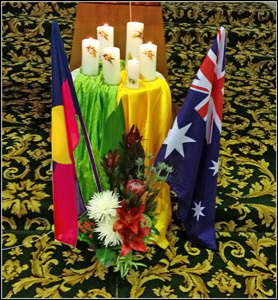 The anniversary is marked by Marists throughout the world who offer Mass for the Society of Mary on this day, especially for the work of the Oceania missions. 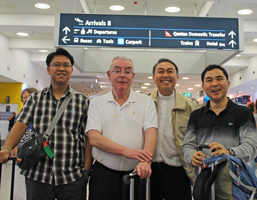 Marists in Sydney were able this week to return some of the hospitality shown to Marists by Redemptorists in Thailand since the 1970s. 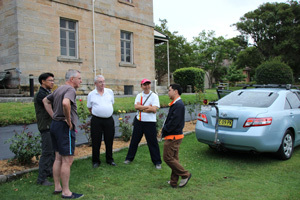 Three Thai priests, Frs Puwanai (Olé) Tantikun CSsR, Peter Pattarapong CSsR and Peter John Sriprapha CSsR, accompanied by Fr John Fallon (Atlanta, Georgia), have been the guests of Villa Maria community, Hunters Hill. 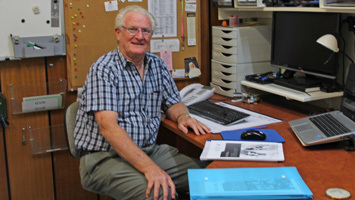 Fr Olé has helped successive groups of young Australians in Thailand on exposure experiences as well as being an I.T. 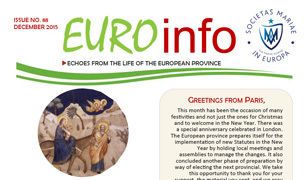 consultant for Marists. 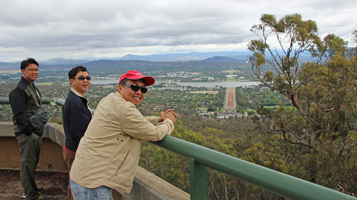 In addition to Sydney's sights, the group included calls on local Redemptorists and a visit to Canberra. 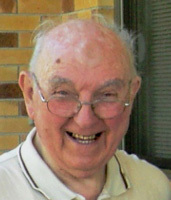 This week Fr James Esler SM celebrates sixty years of Marist priesthood. 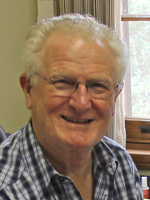 Known for his brilliance in legal studies at Sydney University and Rome's Gregorian University (where his doctoral thesis in Canon Law holds records in erudition and size), Fr Jim taught moral theology to generations of Marist seminarians during the turbulent 60's, 70's and 80's. He lives in sprightly retirement at Maryvale/Montbel, Hunters Hill, NSW. Congratulations, Fr Jim! 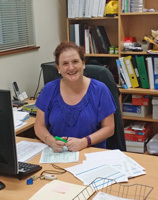 A smiling Kerrie in her new (Montbel) / and old (Villa Maria) office. Villa Maria's house manager, Kerrie Sanders-Perry, has moved next door to assume similar responsibilities with the Maryvale/Montbel community, succeeding Margaret Ploskodniak, who ended her position in December. Assuming her new position on Jan 04, Kerrie will oversee operational aspects of the modern retirement facility for senior Marists, bringing ten years' of experience from her Villa Maria days. Villa's loss is Montbel's gain. At Montbel's New Year's Day luncheon two new beginnings were celebrated. 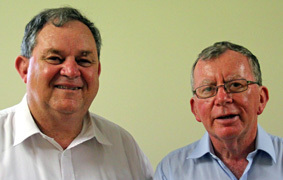 Firstly, another year in the life of Br Peter Somers SM (birthday: Jan 01), and next, a second 3-year term commencing for Australian provincial and vicar-provincial, Frs Bob Barber and Peter McMurrich. Frs Bob Barber and Peter McMurrich commence a second term of province leadership.